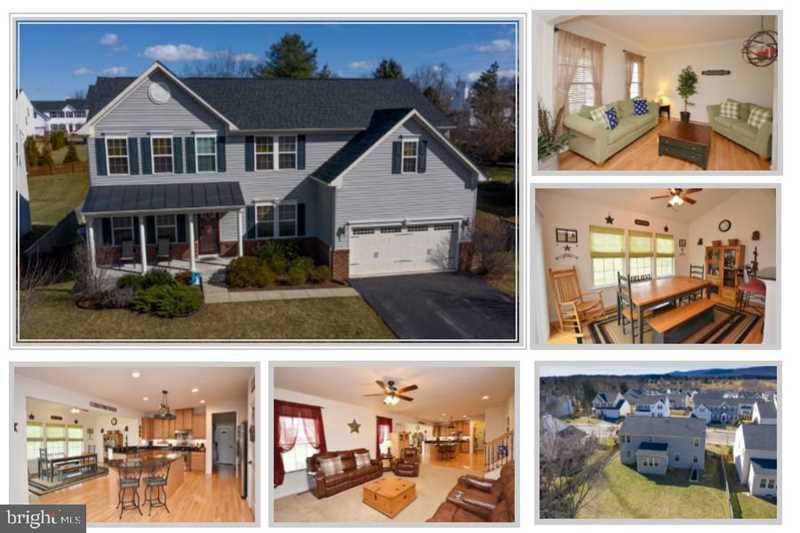 Lovettsville Town Center rare find ... one of the largest models (4000+ sqft) on one of the largest lots (.28 acres)! 5 bedrooms (all upper level), 3.5 baths, main level office and morning room, extended kitchen island, finished basement and so much more! SchoolsClick map icons below to view information for schools near 8 Fox Meadow Dr Lovettsville, VA 20180. Home for sale at 8 Fox Meadow Dr Lovettsville, VA 20180. Description: The home at 8 Fox Meadow Dr Lovettsville, VA 20180 with the MLS Number VALO328276 is currently listed at $475,000 and has been on the Lovettsville market for 73 days. You are viewing the MLS property details of the home for sale at 8 Fox Meadow Dr Lovettsville, VA 20180, which is located in the Lovettsville Town Center subdivision, includes 5 bedrooms and 4 bathrooms, and has approximately 4144 sq.ft. of living area.